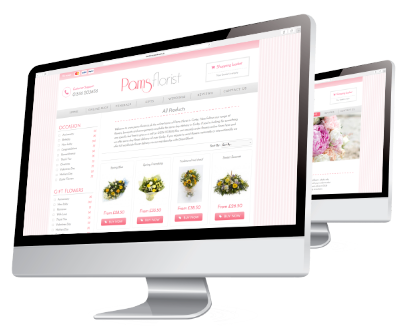 Pam Bryan at Pam’s Florist in Corby recently invested in a bespoke Direct2florist built website for her business, replacing an existing site that wasn’t bringing her any business. Here Pam tells us why she opted for a Direct2florist site, what the build and set-up involved and why it will soon pay for itself. To see Pam’s site for yourself head along to Visit Pam's Florist . More information regarding Direct2florist’s bespoke website build service can be found at See Examples.